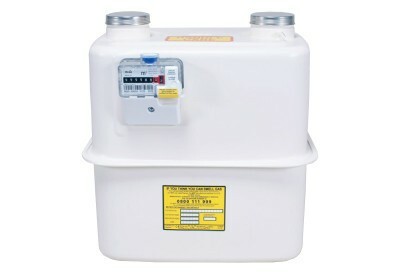 The positive displacement diaphragm gas meter has a twin chamber measurement unit. The chambers are fitted with the diaphragm which is driven by the differential pressures between the inlet and outlet of the diaphragm gas meter. Gas enters on one side of the diaphragm gas meter and exhaust through the separate port of the radial valve. This movement is then transferred to the mechanical index readout on the front of the gas meter. The diaphragm gas meters are available in sizes 3/4″bsp to DN80 PN16.